Why is it incorrect to feel that outsourcing RCM and your billings/collections will lead to a loss of control? Healthcare organizations know they need to improve their billings and collections processes, but often lack the expertise, resources and guidance to successfully do so internally. The continually growing complexity in the revenue/billing cycle process has increased the cost of collections. 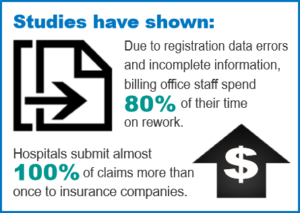 Changes in charging, coding, and billing have made it more and more difficult to get timely, accurate payments and compliant billing. Outsourcing RCM and your billings/collections services helps to provide the necessary expertise, resources, and guidance. So many organizations lack these assets, which hampers their efforts to achieve their business goals and control cash flows. The point of managing your revenue/billing cycle isn’t just to improve revenue and cash flow, but to do them effectively by consistently following the best industry practices. Learn how GBS has been a trusted partner, improved cash collections, reduced staff turnover and improved the overall billing/collections process for our clients. Read more here.